Nishad Mon’s autorickshaw | More photos from "Delirious Delhi"
As if driving an autorickshaw isn’t dangerous enough, this guy decided to up the risk factor by giving himself just 50% of the windshield visibility. 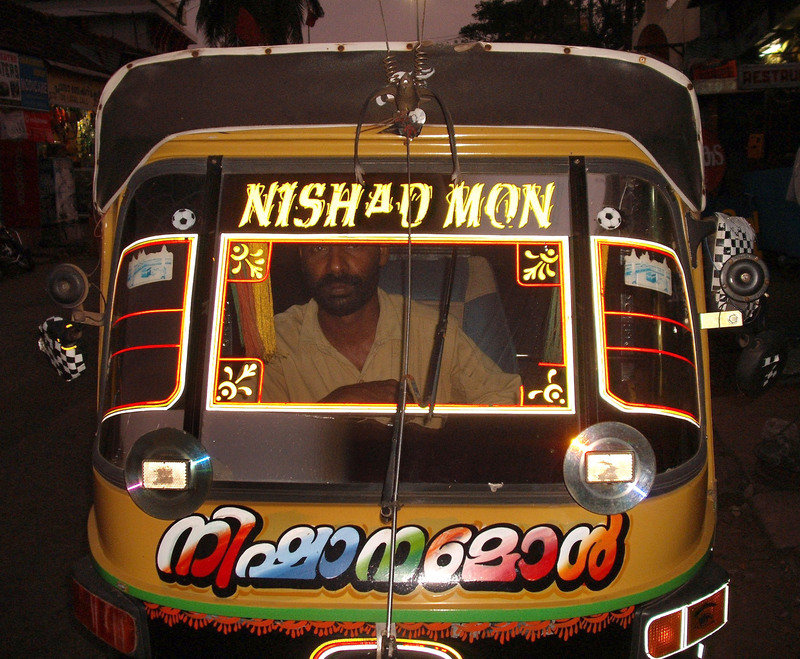 Spotted in Kerala, if memory serves. This entry was posted in outside of delhi, Uncategorized. Bookmark the permalink.